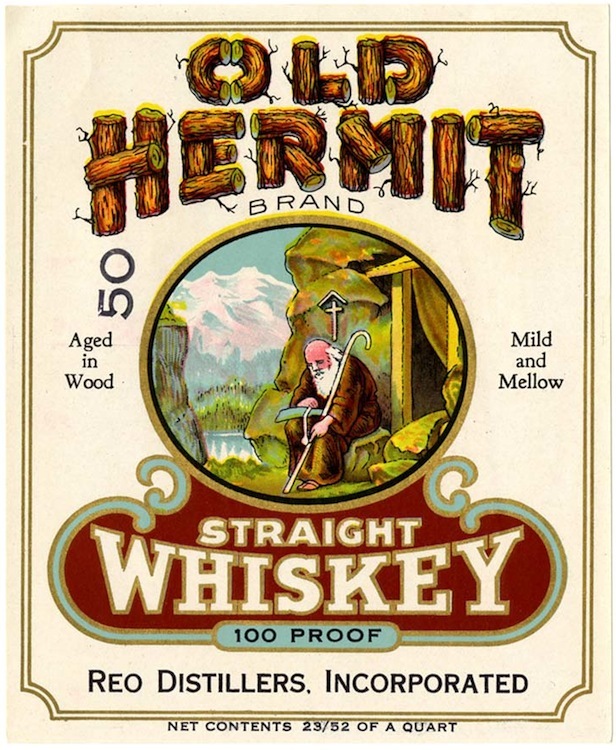 Old Hermit Brand Straight Whiskey, Reo Distillers. 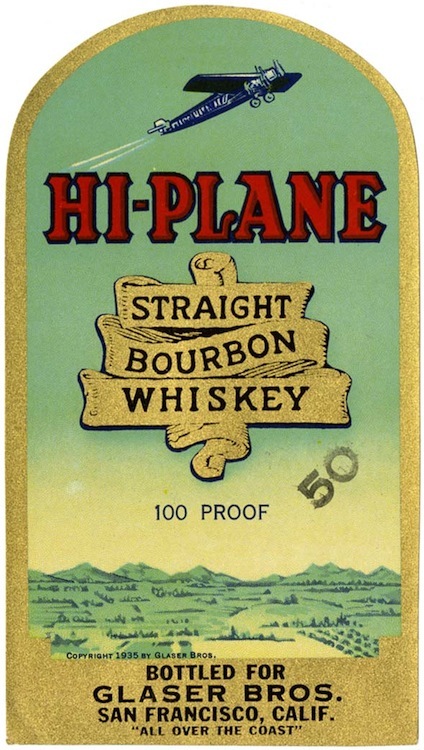 Hi‐Plane Straight Bourbon Whiskey, Glaser Bros., San Francisco. 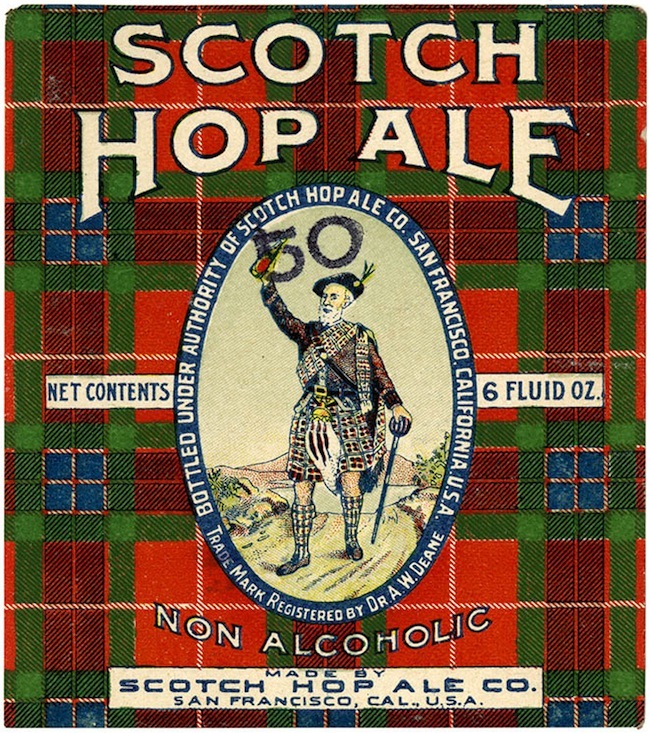 Scotch Hop Ale, Scotch Hop Ale Co., San Francisco. 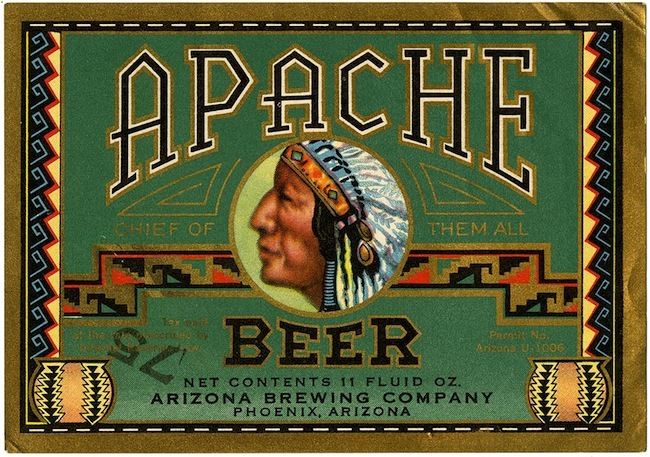 Apache Beer, Arizona Brewing Company, Phoenix, Arizona. 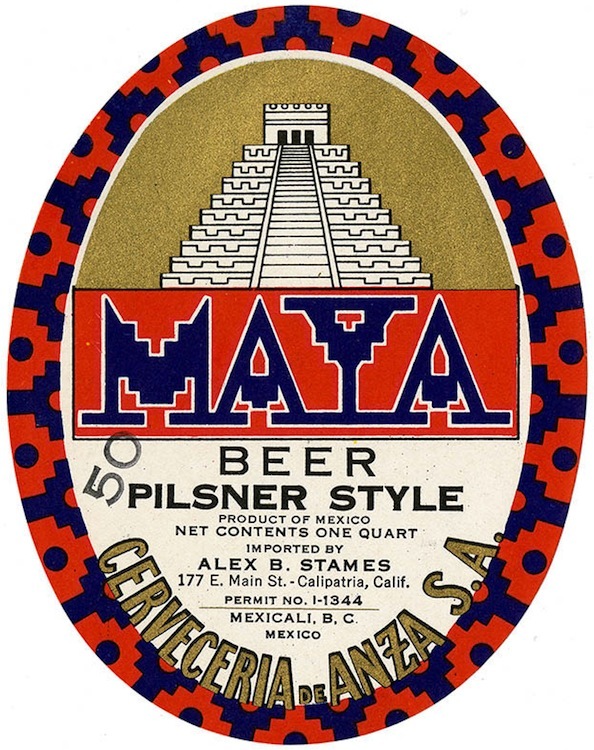 Maya Beer, Pilsner Style, Cerveceria De Anza, Mexicali, Mexico. 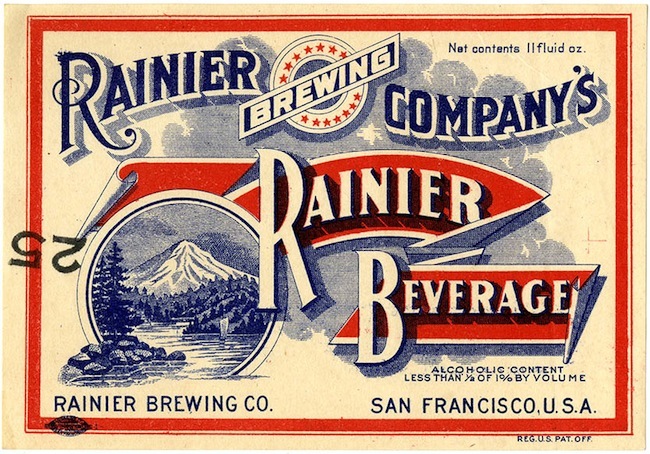 Rainier Brewing Company's Rainier Beverage, Rainier Brewing Co., San Francisco. 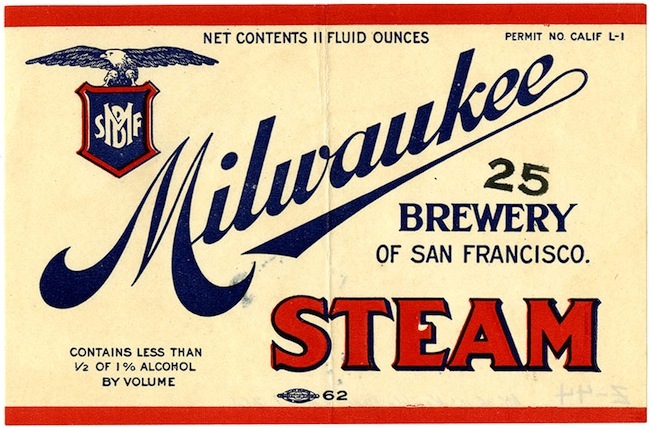 Steam, Milwaukee Brewery of San Francisco. 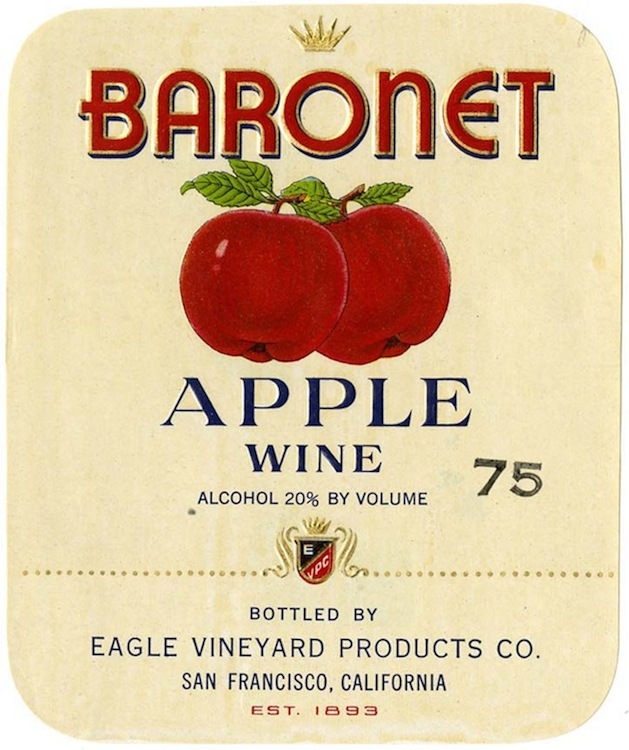 Baronet Apple Wine, Eagle Vineyard Products Co., San Francisco. 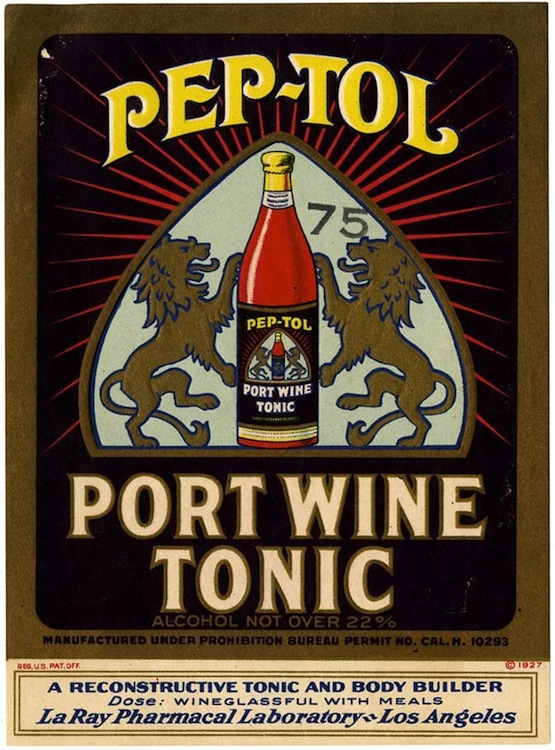 Pep‐Tol Port Wine Tonic, La Ray Pharmacal Laboratory, Los Angeles. 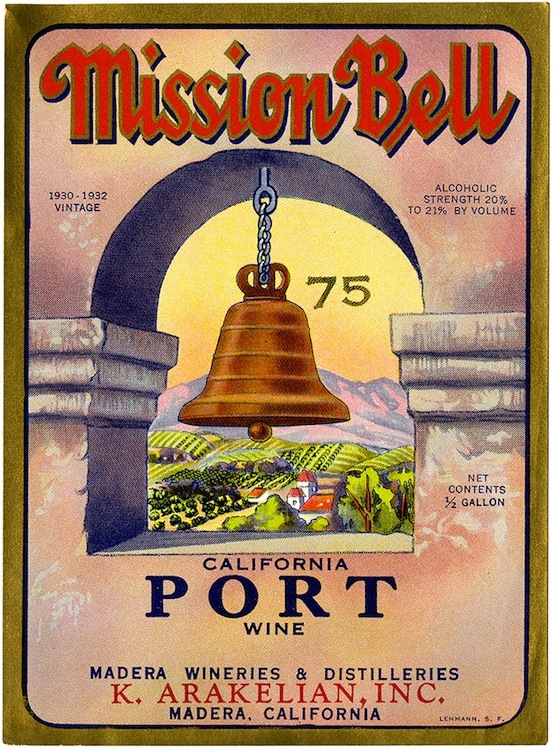 Mission Bell California Port Wine, K. Arakelian, Inc., Madera Wineries & Distilleries, Madera, California. 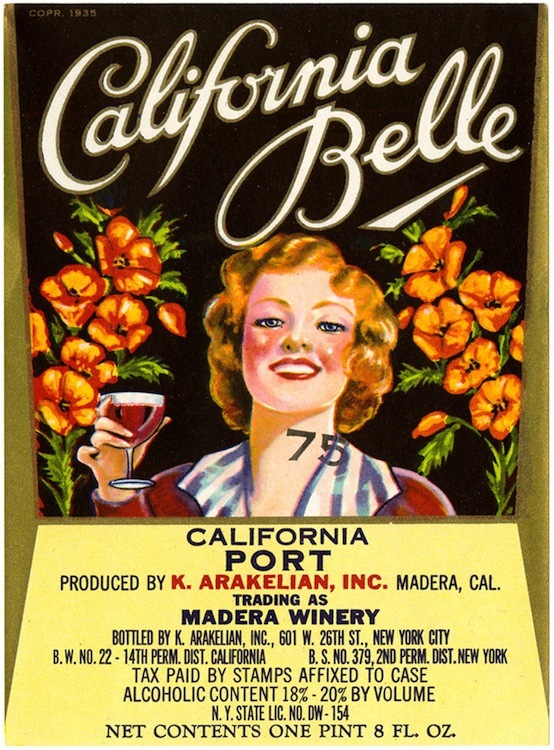 California Belle California Port, K. Arakelian, Inc., Madera Winery, Madera, California. Exota Mellow Sherry Wine, Elk Grove Winery, Elk Grove, California. 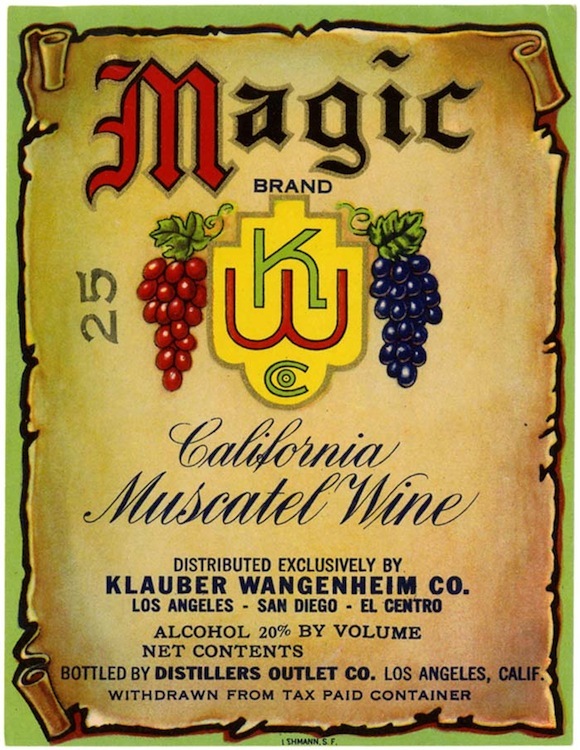 Magic Brand California Muscatel Wine, Distillers Outlet Co., Los Angeles. 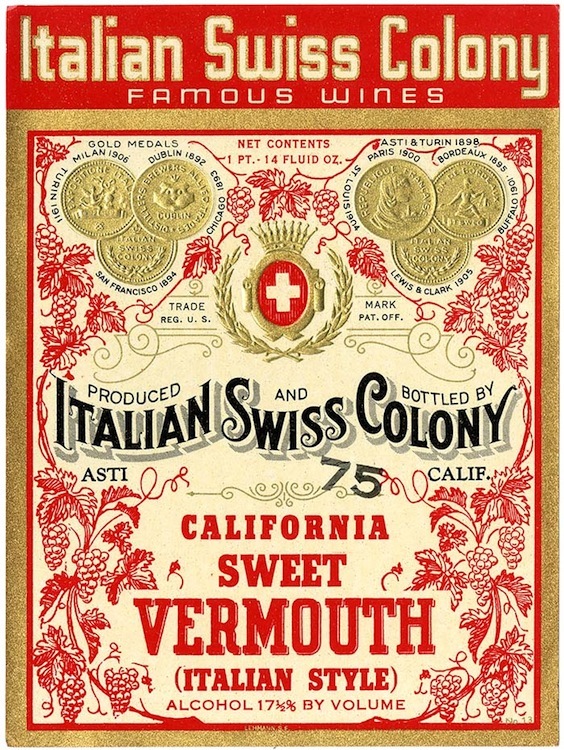 Italian Swiss Colony California Sweet Vermouth, Italian Swiss Colony, Asti, California. 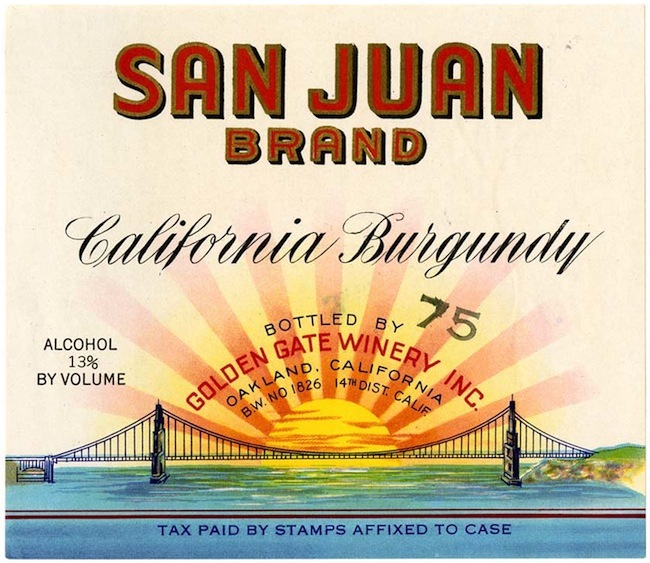 San Juan Brand California Burgundy, Golden Gate Winery, Oakland, California. Ever since November 9, 2016, the majority of America’s voting citizens have been in serious need of a drink. 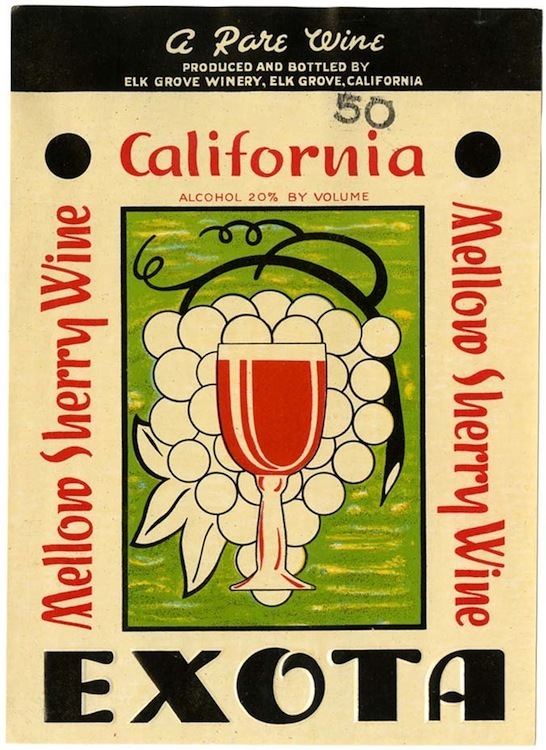 We can’t help all 65,476,535 of you—and counting!—with an actual glass of cheer, but we can share the following historic alcohol labels courtesy of the California Historical Society, whose new exhibition, “Vintage Wine, Beer, and Spirits Labels From the Kemble Collections on Western Printing and Publishing,” runs in San Francisco from December 10, 2016, through April 16, 2017. The labels on view at the Historical Society were all printed during a different cultural depression, the Great one of the 1930s, when millions of Americans drowned their economic sorrows in newly legal beer, wine, and assorted spirits. 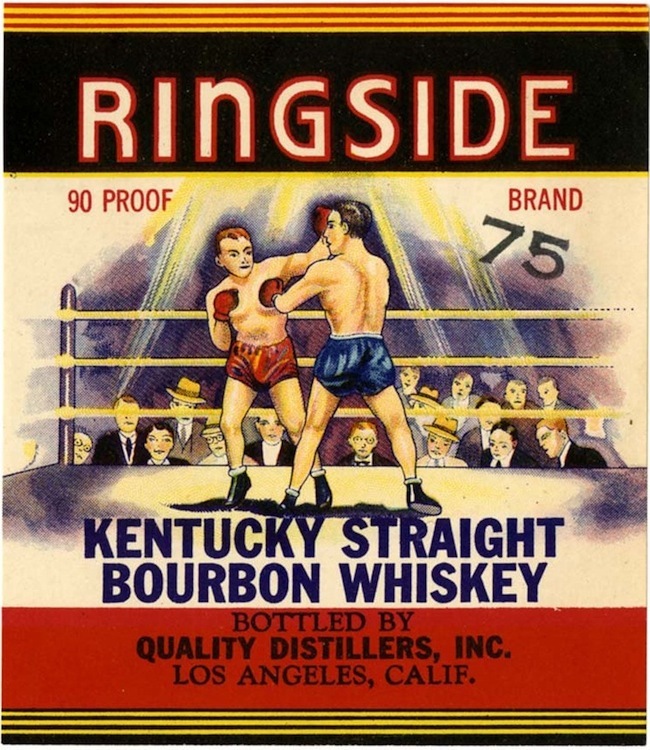 These bottles of previously demon alcohol were adorned with illustrations of pretty girls, dramatic sunsets over the Golden Gate Bridge, boxers in the ring, mission bells unrung, and endless clusters of fat, ripe grapes hanging on the vine. During Prohibition, the only way for vineyards to survive was to make sacramental wine for the tightly regulated, and very small, market of priests and rabbis, or to grow grapes that could be sold whole and crushed into wine by the heads of households—by law, 200 gallons per year of homemade hooch were permitted. Grape growers responded by ripping out the thin-skinned grape varieties that had been so popular for dry table wine and replacing them with sweeter, thick-skinned grapes that could withstand the rigors of train travel. Thus, by the time Prohibition was repealed on December 5, 1933, the wine industry was crushing grapes that had hardly been planted for their eventual complexity as wine. The result was untold gallons of sweet “port” and “sherry” fortified with brandy until it reached an alcohol content of 20 percent. Fancy labels gave this swill a veneer of respectability, while the high alcohol content no doubt gave drinkers something other than the taste in their mouths to think about. Nice article and an interesting bit of American history Ben. I’m looking to get me some of that “Pep-Tol Port Wine Tonic” Dosage guidelines and everything…Ha! Perhaps not unrelated: in grade school we had the jokes. “I put a bar in the back of my car and drove myself to drink” and “Nobody was driving officer. We were all in the back seat drinking.” There must be a collection of them out there somewhere.